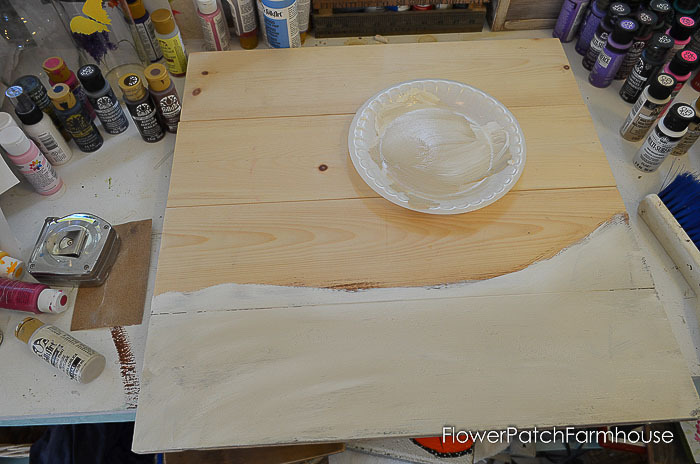 Paint a Sunset Beach Scene or Seascape on wood. 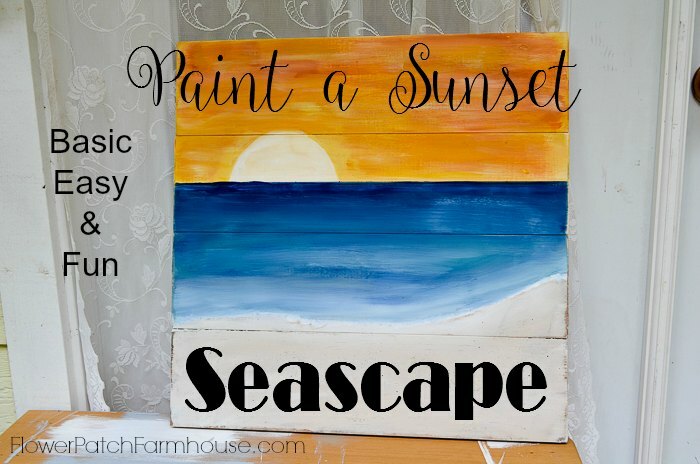 A fun way to add beachy color to your decor! 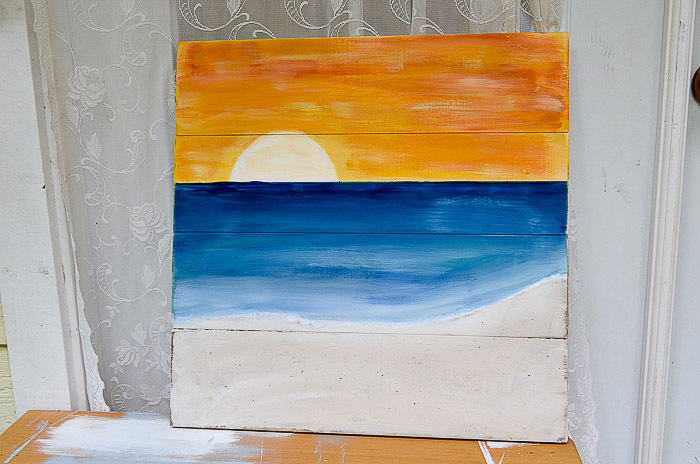 Paint a sunset beach scene on wood, include you kids are host a fun paint party. 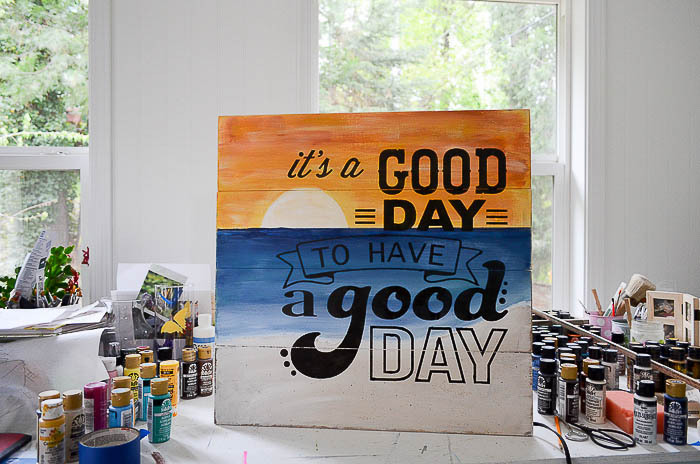 This one is easy enough for everyone and can be finished to hang outside on your porch, deck or pool hut. 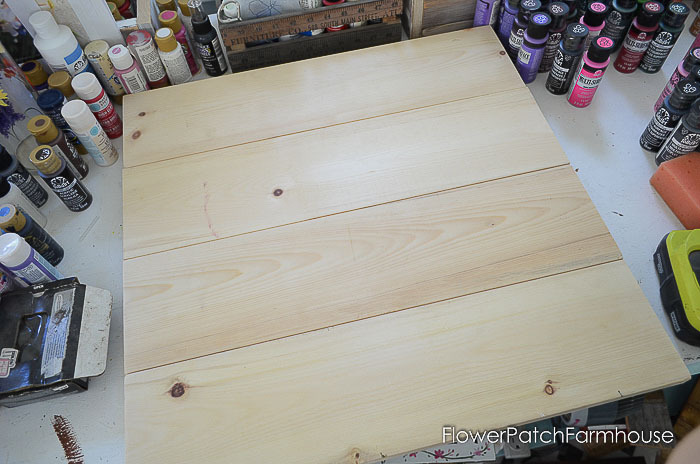 You can create on wood like I did for this or you can easily do this on a canvas. The beach area will be curved in my scene but you could make it any shape you wish, even straight across. (skip this step if using a canvas) I next took a bit of Rustoleum Spar Urethane and my still dirty brush and painted a layer on. I took a few pinches of sand and let it fall onto the wet surface. The Urethane will act as a glue for the sand. This step is completely optional and only adds a bit of texture that I like to add from time to time. You can skip this entirely if you wish. Load up with your beach colors of Linen, Warm White and Wicker white. Paint on the beach…the video gives more detailed instructions. Once the beach is dry you are going to sand down over the sandy bits. The sand and dark color will show through giving you some texture. Next you will fly speck it with an old toothbrush and some watery paint. I get so involved with videoing that I tend to forget to snap photos too. 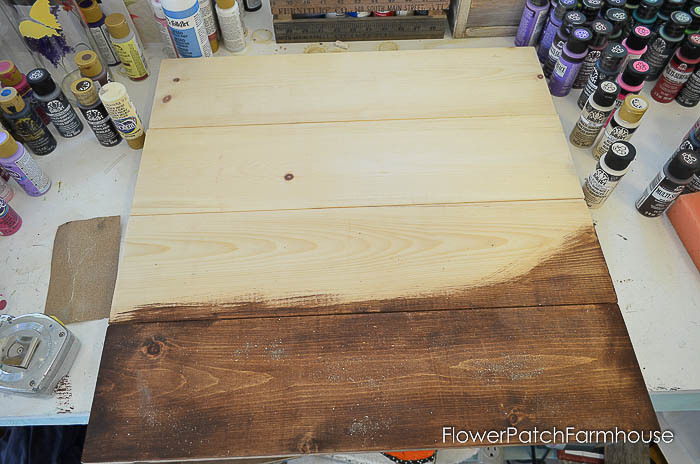 Once you are done and the painting has dried coat it with the Rustoleum Spar Urethane. If you want this to be outside you should coat the back as well. I typically do 4 coats, lightly sanding between coats with a piece of brown grocery bag folded up. 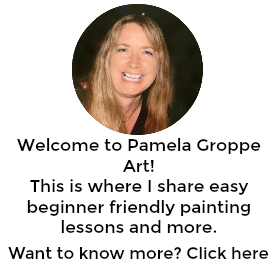 Make sure to do around the edges. I purchased the stencil from The Stencil Smith. 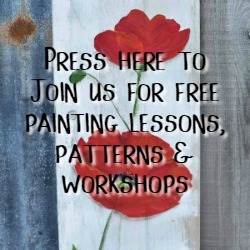 You do not have to stencil the painting…it works just great alone. I think a palm tree would be nice…or maybe a beach umbrella with a lounge chair. The ideas keep on comin’. I need to give a big shout out to Plaid Crafts who so generously sent me two big boxes filled with paint. Both the regular Plaid Craft FolkArt acrylics and the Plaid MultiSurface acrylics. For more great ideas, products and supplies just visit their website at PlaidCraftsOnline.